Location: South side of St. Johns Wood Road close to the junction with Park Road. Present state: Surface building demolished and the Ramada Plaza Hotel stands on the site. Some platform remnants remain. Notes: The station was known as St. Johns Wood Road until 1.4.1925 when it was renamed St. Johns Wood. It was renamed Lords on 11.6.1939, five months before closure! 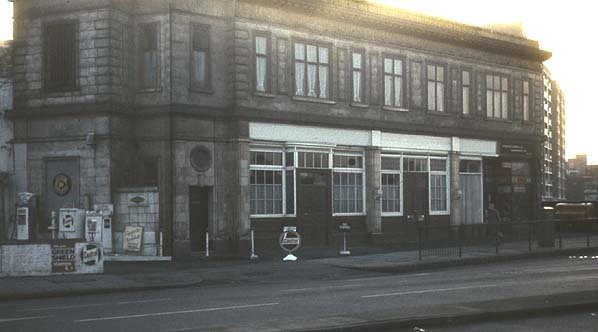 The station entrance was rebuilt in 1924 and was used as commercial premises until 1969 when it was demolished. A section of the platforms and steps have been retained as a point of emergency egress close to the entrance of the Ramada Plaza Hotel. 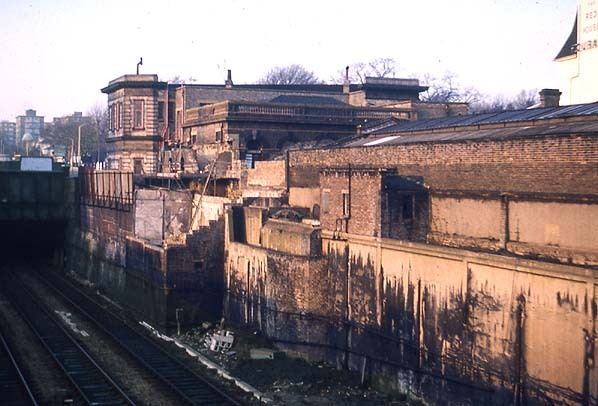 Lords Station in 1969, the original entrance building can be seen from the rear with the new (1924) street level building immediately in front of it.